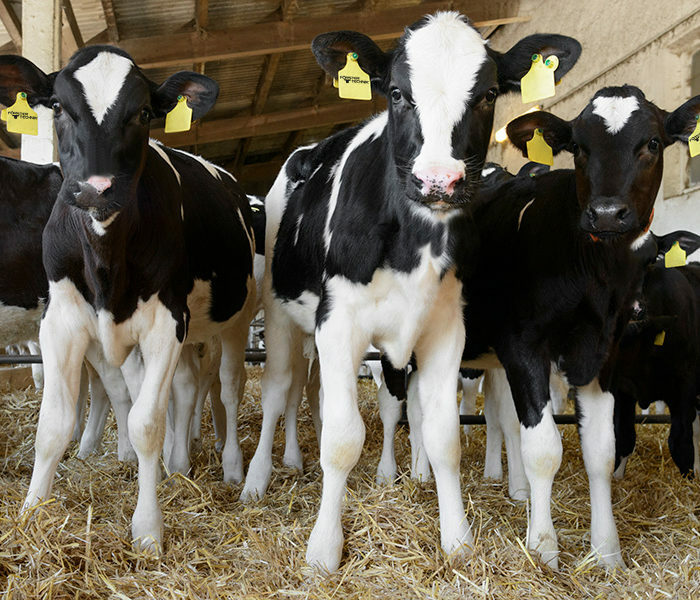 It’s well-known that dairy cow feed is important to ensure healthy and strong cows, yet this is often neglected when it comes to calves. A well-designed calf feeding solution lays the decisive foundation affecting the future of your herd of dairy cattle. Calf feed also has to serve the nutritional needs of your animals – only well-fed calves can realize their genetic output potential. Simultaneously optimize calf rearing and your work processes! Benefit from healthy calves, strong cows with good output and save valuable work time with innovative products from Förster-Technik. Whether you raise your calves individually or in groups, or want fully automated calf feeding or simply to make your work easier: we have the right product for you! Our tried and trusted automatic feeders with a range of accessories reduce your workload by feeding your calves around the clock – fully automatically. With our CalfRail mobile feed station, even calves raised in individual pens can benefit from fully automated calf feeding! Alternatively, our mobile MilchMobil is a clever barn helper to lighten your load. For ideal nutrition right from the beginning, we developed our practical Colostrum Management System. Also want to optimize your feeding schedule? In that case, you’ll want to check out our 40FIT Feeding Concept. Calf feeding based on the latest scientific knowledge – we look forward to advising you, simply call us!